Dairy co-operative Fonterra's boosted the forecast available payout range for this season by 5c and is indicating the dividend might be in the 35c-40c range - giving a potential total payout to farmers of $5 per kilogram of milk solids. The new forecast was given in a business update Fonterra issued today. Fonterra also issued a global update. Last year Fonterra managed a dividend of 25c, which farmers believed was a disappointing result. Coupled with the final milk price of $4.40 per kilogram of milk solids this gave a payout for the year for farmers of $4.65. Fonterra recently announced that it was cutting jobs as part of restructuring. Originally it was stated that 523 would be cut. Then it was moved up to 750. The company confirmed today that the total number of redundancies was now 835. At the moment Fonterra's forecasting a milk price of $4.60 for the current season and it is still sticking by that, despite likely further falls in global dairy prices this week. Chairman John Wilson reaffirmed today that the company was still expecting dairy prices would move up in the first half of 2016 - and the $4.60 forecast was based on that continued expectation. Its original forecast for this year suggested that another 40c-50c, on top of the milk price, might be available for dividend payout, though it stopped short at that stage of suggesting what the actual dividend might be. Now its raised the forecast available payout range to 45c to 55c. "At this stage of the season based on the dividend policy, management would recommend at the end of the financial year an annual dividend of 35-40 cents per share, which would then be subject to Board approval," Wilson said. "This would equate to a total forecast cash payout of $4.95 -5.00 per kgMS." Fonterra is also increasing the rate at which farmers are paid the Co-operative Support of 50 cents per kgMS, with the total amount paid up to December going from 18 cents to 25 cents. The predicted boost in operational performance by Fonterra comes amid expectations that this week's GlobalDairyTrade auction will see a third consecutive slump in dairy prices, and with bank economists believing the $4.60 forecast milk price by Fonterra may come under pressure. ANZ rural economist Con Williams said NZX futures are pointing to a substantial drop of 15% for Whole Milk Powder (WMP) this week. "Some of the reasons for the expected decline in powder prices is buyers are largely well stocked, there has been an increase in sellers with older milk powder (less shelf-life) recently, some European SMP has recently been rejected from intervention stocks due to packaging issues and the general lacklustre performance of the rest of the commodity complex. "To us, a 15% drop for WMP looks too much. On a valuation basis this would place New Zealand sourced product below Europe and the US again. Additionally, there has been another 20,000 mt reduction in WMP auction volumes due to lower New Zealand supply and many analysts/buyers following the last auction suggested it was a good time to re-establish hedges. "We expect a drop in prices this week, but struggle to see it being 15% for WMP. 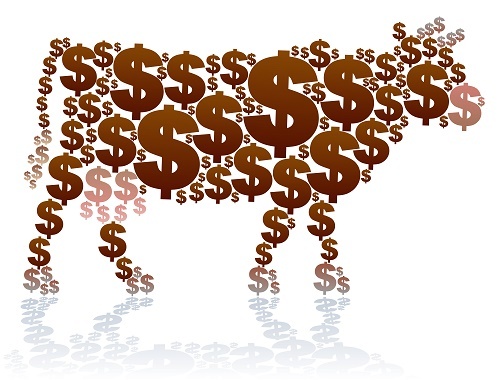 "That said further falls in powder prices will place downward pressure on Fonterra’s current milk price forecast of $4.60/kg MS (we are currently at $4.25-$4.50/kg MS). This is expected to be reviewed at the 9th December board meeting," Williams said. Fonterra's Wilson said the co-operative's performance in the period August 1 to October 31 had built on the strong second half of the 2015 financial year. “While it is tough on farm due to low global milk prices, farmers will welcome the ongoing improvement in Fonterra’s performance delivering increased returns. “Performance is well ahead of last year and we are hitting our targets on gross margins and operating and capital expenses." The Co-operative is continuing to forecast a reduction in milk collections in New Zealand for the current season "of at least 5%", which is equivalent to around 150,000 MT of Whole Milk Powder. Fonterra chief executive Theo Spierings said performance in the first quarter of 2016 built on the strong finish to 2015 with margins increasing across the group from 14% to 23% compared with the same period last year. “Our first quarter ingredients performance reflects improved product stream returns and margins are tracking well. With less milk this season, and additional capacity, we have taken the opportunity to optimise our product mix," Spierings said. Capital expenditure of $258 million is down 37%, in line with the target. Operating expenses are also down by 4 %to $628 million, "reflecting the continuing focus on cost control". Mr Spierings said Fonterra has solid credit ratings that demonstrate the co-operative’s fundamental financial strength. Fonterra’s business transformation is aimed at achieving a significant and lasting performance improvement through new ways of working across the Co-operative’s global network, Spierings said. “The initiatives generating recurring benefits implemented in the first quarter are expected to deliver a cash benefit of $170 million in the current financial year. “Further initiatives in the second quarter are expected to increase recurring cash benefits to $340 million and contribute to both earnings before interest and tax (EBIT), and the Farmgate Milk Price in the current financial year. “In addition, first quarter initiatives are expected to generate a one-time cash benefit of $110 million this financial year increasing to $440 million based on initiatives being introduced in the second quarter, and will contribute to working capital and our balance sheet,” Spierings said. Fonterra will provide an update on the business transformation and on the earnings range forecast at the completion of the first half of the financial year. Fonterra's full annual review is available here. Its full financial review is available here. The annual results presentation is available here. See here for dairy payout history. The futures market doesn't appear to be pointing towards a $4.60 payout. Thanks for the link. I can see cost cuts flowing through to the dividend. Won't a $4.60 payout require something like ~$3,000/ton? (or is this all products, not just WMP?) NZX futures are showing $2000-$2300 for the rest of the season. How absolutely bloated would Fonterra have been at this stage if there hadn't been a substantial downturn? Very scary thought.